mayou naki kakugo ni 'Kassai' wo! ~Sono chi no unmei (sadame)~ JoooooJo! May fortune shine on the future you bring! kimi to iu mirai ni 'Kouun' wo! ～その血の運命～ ジョジョ Bravely embracing their fate! 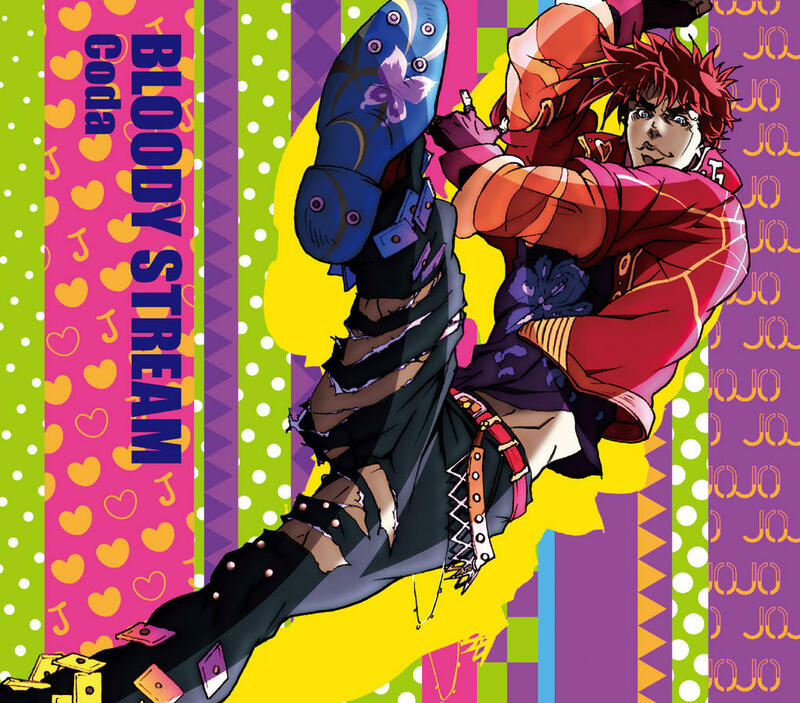 ~Sono chi no sadame~ JooooooooooJo! 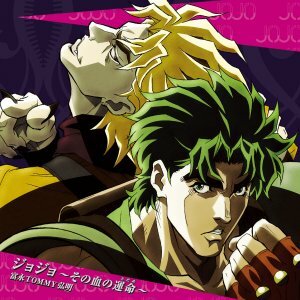 拳放つ　聖なるヴィジョン　Stand Proud! Stand up! Stand up! Stand up! All right now! All right now! All right now! Break you down! Break you down! Break you down! This sacred vision, firing its fists, stand proud! Kobushi hanatsu seinaru VISION Stand Proud! who will be the one to pour the light? 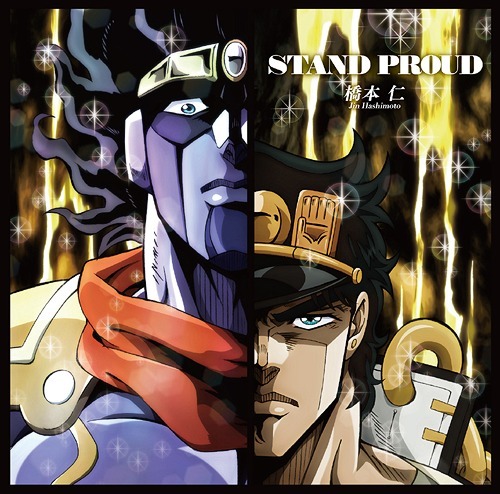 道を拓く魂のヴィジョン　Stand Proud! Stand up! Stand up! Stand up! This vision of my soul, open the doors and stand proud! Michi wo hiraku tamashii no VISION Stand Proud! This vision of my soul, opens the door and stand proud! 589 Japanese 2008-2018 Your browser does not support inline frames or is currently configured not to display inline frames.